$20 for 4 days. Only $3/day after. Safer riding through real-time communication. 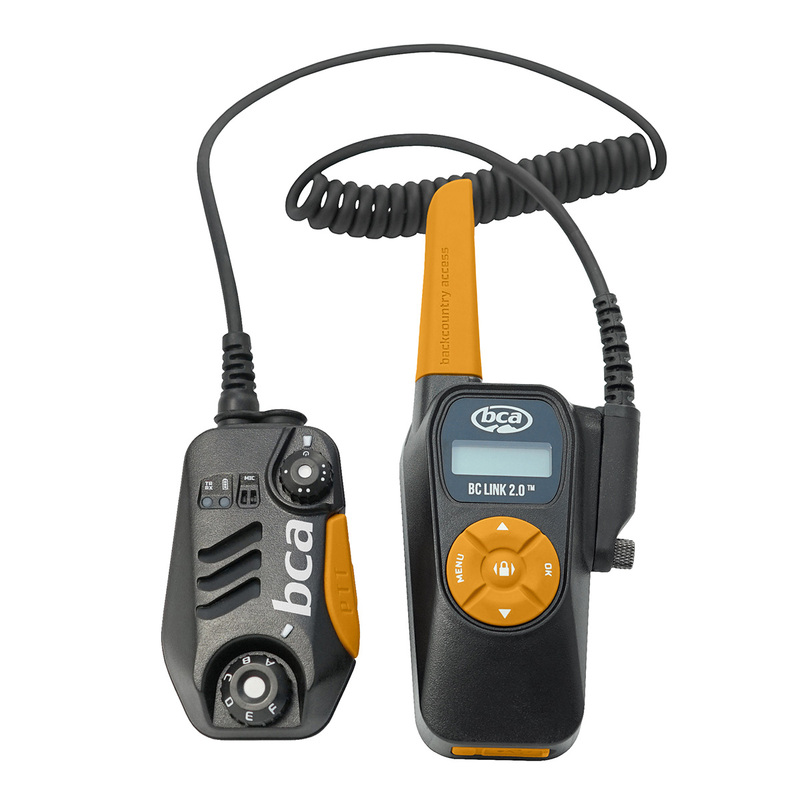 The new BC Link 2.0 Radio improves on the original! Optimized for winter use, the Backcountry Access BC Link Group Communication system lets you stay in constant contact with your riding partners while exploring the backcountry. The BC Link™ 2.0 is the next generation radio with 2 Watts of power for increased usable range. Smart Mic grill is impervious to packing with snow. On/off/channel selection dial switch is protected from inadvertent channel changing. Comes with long-lasting built-in rechargeable lithium-ion battery, durable cord/base unit, and new battery percentage power display. Integrates into all BCA Airbags. Find separated friends, communicate plans, stick your line and share observations in real-time with the BC Link group communication system. The Smart Mic user interface is located at your fingertips: to change settings, no need to dig the radio from your pack. Battery lasts for several days without recharging, even in cold temps. The Link 2.0 improves on the current system, with more power, more durability, and more weather resistance. The advent of radios designed for backcountry skiers, boarders, and snowmobilers has given touring parties a new tool that not only allows them to reduce risk, but also enhance their experience by sharing run quality information. While these radios can be very useful, team members need to exercise some discipline in their use so they remain as useful tools. 3. Facilitate more efficient rescue operations.